Wagyu Beef Menu - Puppy: Dehydrated natural food for puppies of all breeds up to 12 months and pregnant females, made with top quality ingredients suitable for human consumption. 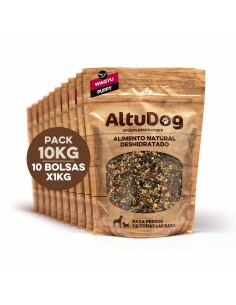 Complete and natural food for all breeds of pups up to the age of 12 months or pregnant animals. 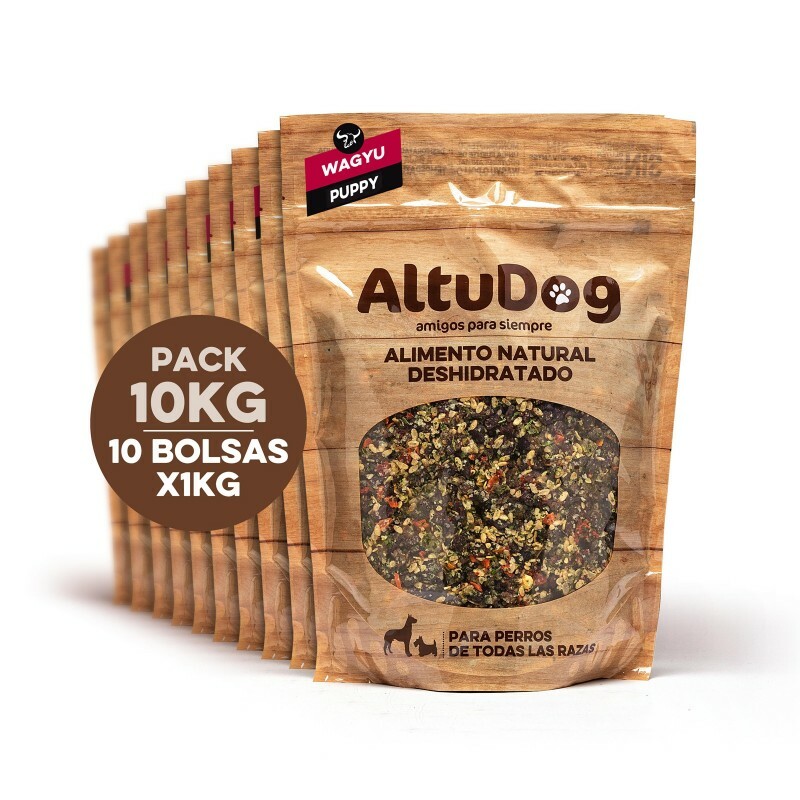 Ingredients: Wagyu dehydrated beef 57%, cooked and dehydrated brown rice 12%, dehydrated fruits and vegetables 15% (potato, carrot, tomato, spinach, apple and cranberry), Wagyu fat 8%, whole egg with shell 3%, Wagyu heart 2%, salmon oil, seaweed, garlic powder, turmeric and rosemary extract.